In response to KVPR's report on this facility, ICE has posted this sign on the door of its downtown office building. 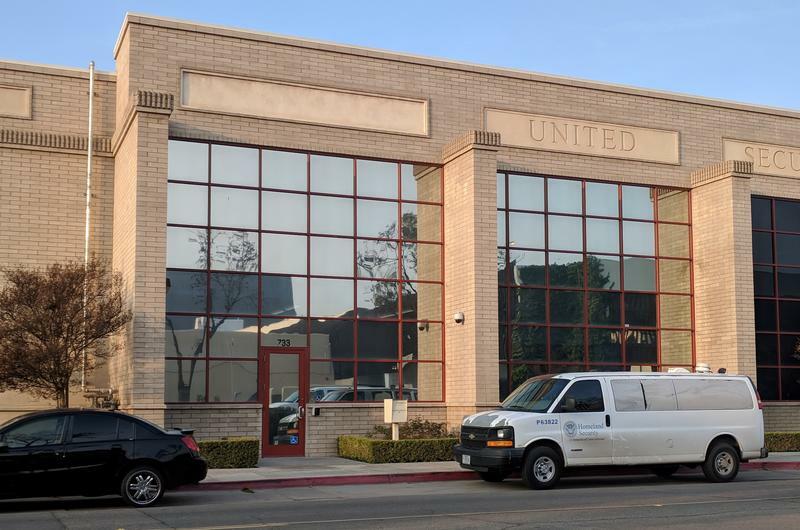 Last week we brought you an investigative story about a secretive building in downtown Fresno that’s being used to process individuals coming into custody of Immigration and Customs Enforcement, or ICE. There’s no sign on the building, its address is not listed on the agency’s website, and immigration attorneys are concerned about the detainees’ access to due process. Since running that story last week, we’ve received a lot of feedback—including from ICE itself. Listen to the interview for an analysis of what we’ve since learned from an ICE representative, what’s changed at the facility, and what it tells us about those individuals who are processed there. 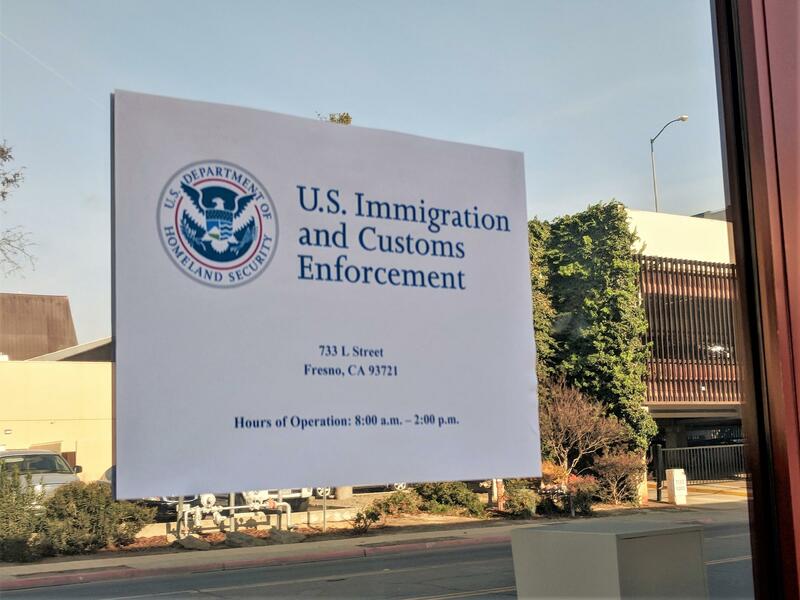 The U.S. Immigration and Customs Enforcement agency is responding today to Valley Public Radio’s reporting about the agency’s presence and practices at a facility in downtown Fresno. In that report, we described an unmarked, under-the-radar Fresno facility that processes and detains individuals coming into ICE custody. We also reported that ICE had not responded to multiple opportunities to comment on the story before it was published. California Attorney General Xavier Becerra met with local officials from across the San Joaquin Valley in Fresno today. 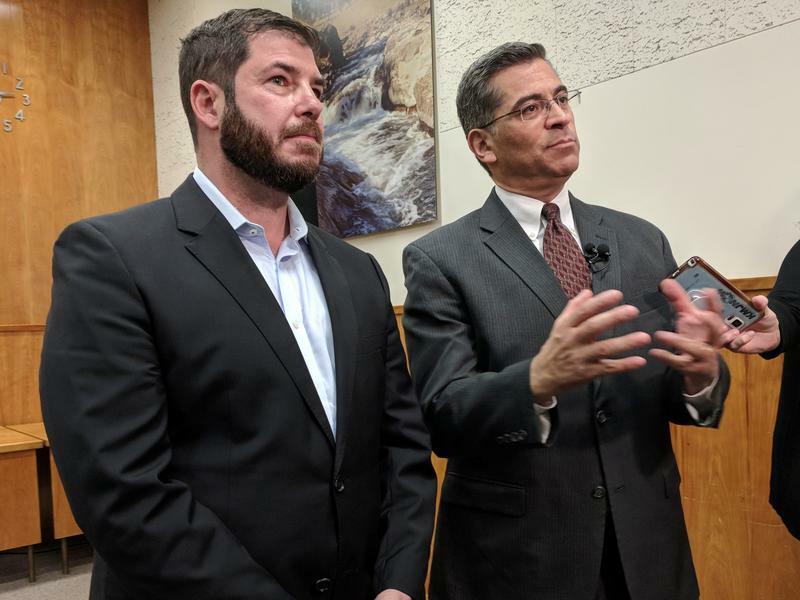 After addressing DACA and criminal justice reform, Becerra said that over the weekend he plans to meet with employers, like growers, to discuss what to expect from federal immigration authorities now that California is officially a sanctuary state. "I want to make sure employers understand what their rights are but also what their responsibilities are toward their employees," he said.